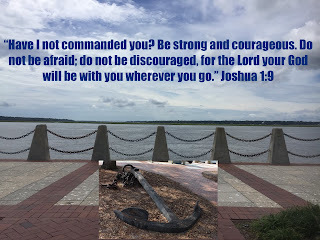 Joshua 1:9 - "Hard Love"
It is so hard to keep going when you feel like you can no longer continue fighting. The enemy can become so great at times. There are days, sometimes even weeks, where you feel like you can't continue on. Then the Lord reminds you that the battle before you does not have to be fought alone. Our strength will falter yet when we lean into Him His strength will stand strong. He loves us so much that we do not have to do anything on our own strength. Woo hoo! That is sometimes hard to remember. It is also hard to not become discouraged when we feel like one thing hits us after another. Yesterday when I called to order my medicine and found out it was $680 I was very discouraged. There is no way that can even be possible to pay. As I tried to find assistance with it, I was told because I have insurance I was not eligible. I cried out to God to point me in the right direction but so far have not received an answer. I just do not understand why we go from one thing to another financially. I am thankful for the reminder of Joshua 1:9 this morning. Am I strong and courageous? I sure do not feel like it but I have to be. If I do not stand strong in my faith, the enemy will have an open door and then life will be a big mess. Am I afraid? I can honestly say I am not because I know the end of my story. Am I discouraged? I try to not be but sometimes it is hard. Do I want to give up? No way. I refuse to give up. The enemy will not win. I know the things I experience on this earth are temporal. I also know it will be so peaceful in heaven where the enemy will no longer have any influence. Thank You for the reminder this morning that You are the beginning and end of my story! Thank You for the words of encouragement from Your Word! Thank You for giving me Your strength to not just do this day but to be blessed through it! Father, You know how I am feeling. You know the struggles in my body. May You empower me with Your supernatural strength for the day ahead. May You cleanse me so You can fill me. May You be greater than the things the enemy puts before me. Father, I pray for a healing in Doc's body so he will be out of pain. May You give him wisdom. May You stay close to him throughout this day. 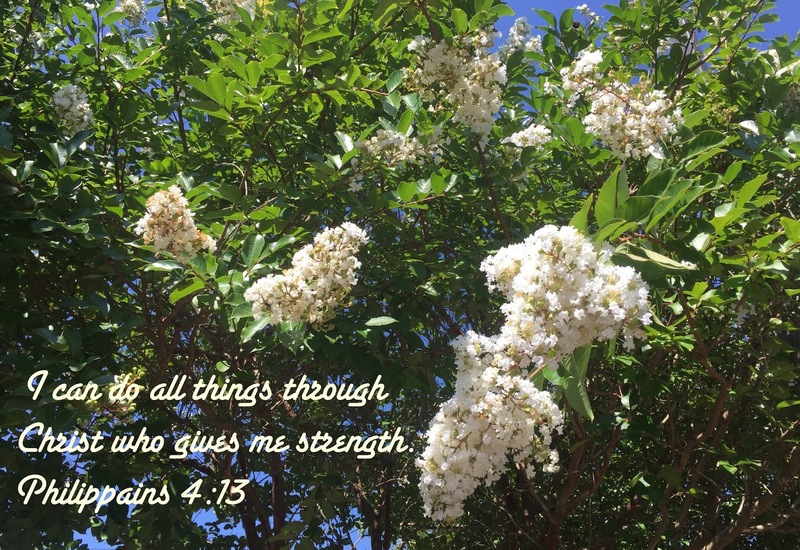 Thank You Jesus for being Our Continued Strength! Amen. 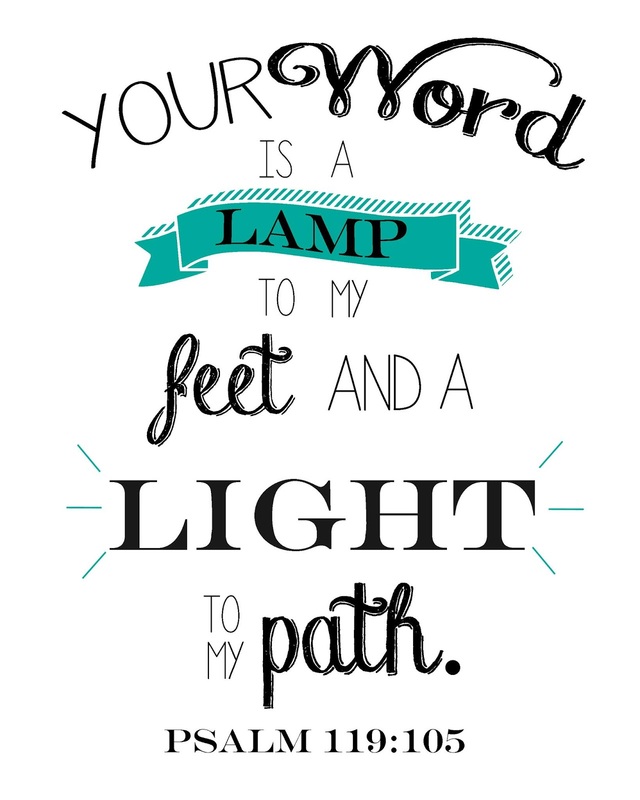 Psalm 119:105 - "Thy Word"
Yes! We have nothing to fear as long as we lean into the Lord. He is there for us in 'good' times and in 'bad' times. He is there to comfort us, to love on us, to empower us, and to make sure we never feel alone. Unfortunately, the enemy is there to tear us down. He is there to make us feel like God has left us when in fact He never will leave us. There is strength when we realize this. There is empower when we lean into God. He is greater than anything the enemy can throw our way. He is greater than words thrown against us by others. He is greater than illnesses, disease, deaths of family members, etc. He is greater than anything that comes our way. Plain and simple. He is greater. When we walk in obedience to Him, we are empowered to be greater than the enemy. Woo hoo! As humans, that is hard to understand but when we live in the Lord's presence we are different. We have empowerment those who do not live in His presence can realize. We have His strength that is only found in His presence. We do not have to choose a life of bitterness over what God has allowed to happen to us. Instead we need to choose joy in knowing it is only by His love that we will be able to not only survive but to survive with hope. The Hope of Christ can only be found when we choose Him. There are so many unknowns in life. Will this happen? Will I survive this? Why am I going through this or that? Where is God when I'm going through this? Why doesn't He stop this? The questions go on and on but the only answer is God is with us. He never will leave us. 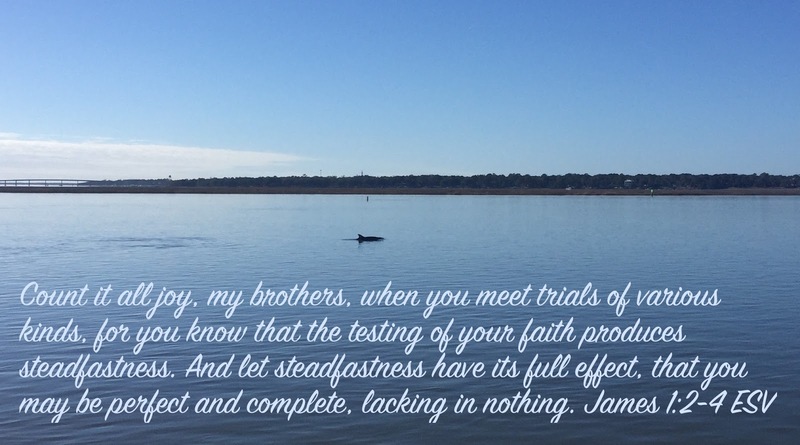 He desires to bless us through the trials of life. He desires to see us depend upon Him instead of ourselves. He wants us to realize He is all we need. Woo hoo! Thank You for this song during the night that encouraged me! Oh how I pray it will encourage others to not give up! I pray people will have the desire in their heart to lean into You! Lord, cleanse me this morning so You can fill me and use me throughout this day! You know what is ahead. I pray You will go before me and open doors of opportunity for me to walk through. Father, I am praying this morning for so many but especially for Doc who continues with pain, for one who was diagnosed with colon cancer yesterday, my pastor friend with cancer, my friend Mike as he deals with his alcoholic wife, and Sandie and Jim as they continue the road they are on with her stroke. May You be exactly what each of these ones need today. May Your strength and empowerment be taken on by each of them in a new, different way. Thank You for being My Ever Present Empowerment! Amen. James 1:2-4 - "Look Up Child"
We all need to "look up" to Jesus whether we are having 'good' days or 'bad' days. We need to rely upon His strength. We need to listen to His direction. The best way to do this is to live in His presence. He will speak to us but we must be in relationship with Him so we can hear His Voice. He will not always take away 'bad' days because it is in those times we will go deeper in our faith. This morning I am thinking about the words of James 1 where we are told to "count it all joy" through 'tough' times. That is not an easy thing to do but it is possible. The only way though for it to be possible is to be seeking Him with our whole being. We must die to self so He can live in and through us. Thank You for the blessings of yesterday and the ones ahead in this day. Thank You for giving me the opportunity to pray for many. Father, I pray for a cleansing in my spirit this morning so You can fill me to overflowing with more of You. I pray for You to be my words, actions, and attitude throughout this day. Go before me and love through me. Thank You for all the ways You will shine through me today. Thank You for being who You are in my life. Thank You for being My Joy Maker! Amen. Matthew 28:6 - "He Lives"
My prayers for pastors on Saturday nights took a turn this week. God had me praying for pastors not be disappointed in today. That seemed a bit weird when it's Resurrection Sunday. Some churches will be filled to the brim. Others will be sparse. Some people who don't normally go to church will be in attendance today since it is a holiday. Some who normally go will not go. I have heard all sorts of excuses this week and my heart broke with each one. I can't imagine how pastors who have poured themselves into the sermon, the service, etc. thinking there would be people there who are not normally only to look out over their usual group of people. God had me praying for them to not get discouraged when they have put so much time into today to find themselves disappointed. He had me pray for those pastors who did not put much time into preparation to not blame themselves when their church is not full unless they did not walk in obedience to His direction. He had me pray for those who He prompted to invite people and didn't. He also had me pray for those who did invite people for those people to go to church. He had me pray for pastors who invited people yet the people will go elsewhere to realize it is not about where the people go but that they go. He had me pray for a pastor who will turn in their resignation tomorrow due to not being able to cope with days of ministry such as today. My prayers were for them to walk in obedience to Him instead of trying to do things on their own strength. Today is a day of celebration in the life of a believer. It is a day that goes beyond bunny rabbits, egg hunts, etc. 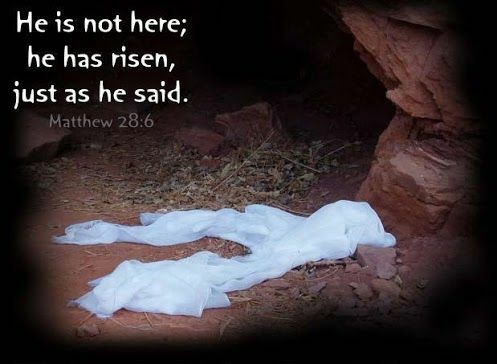 and celebrates our Lord Jesus Christ who died and rose again to live forever. It goes beyond special meals and activities. It is a day where believers need to gather together to celebrate who He is in their lives. Oh how I pray for those who are not living for Him to come to fall on their knees and accept Him into their life. I am praying for people who claim to be believers to start living like they are. I am so tired of the drama people bring into their life and into the lives of others. Oh how I pray for them to wake up to God's way instead of their way. I pray for people who claim to be believers to open their ears up to His Voice and live out what He tells them instead of what the enemy is feeding into them. It is no wonder so many are leaving the pastorate. The junk the enemy pours on them through people is ridiculous. Today, of all days, should be a day of celebration. It should not be a day where pastors are 'putting out fires' or discouraged over people. My prayer is that they can celebrate even through the junk. That will make satan so mad and bless God in abundance. It is not about us. It is about Our Risen Savior! Thank You for the blessings of yesterday and the blessings of today. Thank You for the way You were with me throughout the day yesterday. You were here through the tears and You were here through the laughs. Woo hoo! Father, I pray for a cleansing in my spirit so You can fill me to overflowing with more of You this morning. May You be greater. May Your strength be mine. May You blind the eyes of pastors to the junk satan is throwing at them. Better still, may You empower them to knock the enemy down when he comes knocking. I pray for people who are 'thinking' of going to church today to go. I pray for people who go to listen and walk in obedience to what You have given pastors to say. Oh how I pray for change to occur in people today. I pray for change to occur in my life. I pray for Your words, actions, and attitude to be mine today in a new, different way. Thank You for being My Risen Savior! Amen. Philippians 4:13 - "Lord, I Need You"
Six years ago April 20th was also a Saturday. The night before was a tough one with Doc just getting home from his second knee replacement. There was little sleep. That morning when the phone rang I never thought it would be 'the' call where I hear the words I dreaded so badly, "Daddy's gone." For fifty-one years and eight months my Daddy was my rock. He was my greatest encourager throughout life. Yes, he spoiled me but it was because he loved me. There were times he reprimanded me. Probably not as much as he should have but he did. He taught me so much about how to live life. He taught me to love people as Jesus does; to be generous; to give of yourself even when you don't have financial means to give anything else; to never give up; the list goes on and on. He also taught my boys how to do so many things. Most recently I found out he taught my husband a key thing that has been instrumental in keeping our marriage going. Oh how I miss him. I miss his daily phone calls. I miss hearing, "Now, Sheila Babe, you can rest for awhile but you cannot stay in bed all day" on days when MS was getting to me. I miss him slipping me a ten dollar bill when he knew my purse was empty or sending a bag of groceries home with the boys after he picked them up from a school function. I miss seeing him smile when we pulled in the drive-way for a visit. I wish he could see the grand babies who have been born since he left this earth. I wish he were here to see me being almost done with classes for the education requirement for ordination. But he is not. Instead he is no longer in pain. He is no longer struggling to breathe or walking with a walker. I like to picture that he is dancing with Jesus, going around giving out hugs and talking with anyone who will listen. He loved people on this earth and I am sure he is still loving people. My Heavenly Daddy blessed me with a very loving earthly Daddy who provided for our family as much as he could without having a high school education. In the summer, he would go to the park and umpire ball games after working all day on the farm. I remember one year when he had missed so much work due to surgeries and he had no more sick time. What a blessing for teachers and staff to give their sick time to him so our family would not go without. That showed how much he meant to others. I also remember when my Momma was off for multiple cervical surgeries. He and I had to keep the house going, take care of the kids, do the cooking, etc. for over a year. I learned so much during that time that I have been grateful for as an adult. One of them was cooking. I had been cooking since a young girl but I will never forget the July 4th Bicentennial picnic at church. He taught me how to prepare for such an event. Every family was to take a couple dishes to put together with another family. It was not a typical covered dish picnic since our church was so large. Instead two or three families would eat together. When I asked him what we would take, his reply surprised me. He said, 'meat loaf, green beans, potatoes, and a cake.' I told him we did not have to take a full meal, only a couple dishes. He told me 'anytime you go to such an event you take a full meal in case something happens that you sit with someone who brings little or nothing.' When we sat down with a family of four who brought a little bowl of corn, I was grateful for how wise my Daddy was. He also taught me to buy lots when things you regularly use are on sale. I blame him for teaching my Momma this who also taught me this practice. That is why when times are tough we can always get by with what is in the cupboards and freezer for a bit. It may not be what we always want but it will get us by. 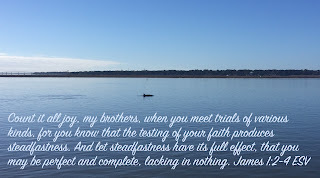 He taught me how to persevere through illness. Doc always called him the bionic man with the way he went through sixty plus surgeries and kept going. It is ironic that today is the anniversary of my MS diagnosis. Twenty-five years ago. My Daddy encouraged me so much to not give up. He encouraged me to get up out of bed when the MS hit; to not allow using the wheelchair, walker, or cane to get to me emotionally; to go to college when my boss at Smucker's gave me the college catalog and told me the only way he could promote me was if I had a college degree; and so many others ways. I am so blessed to have had an earthly Daddy who was such a great man. I am blessed that he loved the Lord. I am blessed that he loved my Momma so much. I can't imagine how much she misses him but I am blessed in knowing she will be with him again. I am blessed in knowing I will see him again. There is no place I would rather be today than with my family who are gathering to celebrate Easter but also to celebrate my Daddy. Even though the tears are falling I know that is not possible. Sometimes I wonder why God took us so far away from them but it is not for me to question. I just need to remember my Heavenly Father is here with me, loving on me exactly as I need loved on. He is here encouraging me and allowing me to have the tears. I am grateful He has blessed me with a husband who allows tears to flow and to be my rock. I will never forget Doc being just a few days out from his surgery and yet insisting on being with me for my Daddy's calling hours and funeral. I know the only way he was able to do that was through God's strength. Thank You for going before me today and not only getting me through this day but blessing me with opportunities to love on others through it. 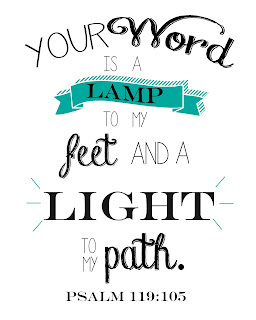 I pray I will be a beacon of light for You throughout this day but I know You need to cleanse me first so You can fill me to overflowing with Your love. Father, thank You for Rick and Denise who took care of Doc those first couple days after my Daddy died. Thank You for Marlene who checked in on him and Junior who drove Linda and I to Orrville that day. Thank You for all of the people You put in my path over these last six years to encourage my heart with this loss. Thank You for being with me over the last twenty-five years with MS. Thank You for being with my family today as they gather together at my Momma's. Thank You Jesus for being My Strength! Amen. We all need to realize God loves us. He loves us so much that He had His Only Son die on the cross for us. He didn't just die for us. He died in agony and pain. He died in such a way none of us could ever endure. When we are going through tough days, we need to lean into His love. When we feel like the world is against us, we need to cry out to Him. When we feel rejected, we need to think about how Jesus felt. My heart breaks to see people going through tough days yet I know it is through tough days that my faith goes deeper. As the tears came yesterday with the morning I had endured, I cried out to Jesus to give me His strength. When my body was so tired last night, I cried out to Him asking Him for rest not only in my physical body but in my entire being. As the tears came this morning when I saw a picture of Paul and Bella, I cried out to Him to help me through these next few days in a powerful way. Holidays are so hard being away from family. Tomorrow a lot of my family will gather to celebrate Easter and remember my Daddy who died six years ago. Oh how I wish I could have been there but I know that is not God's plan. Sometimes it is so, so hard to walk in obedience but I know I am blessing Him and He is blessing me. Tomorrow is also the twenty-five year anniversary of my M.S. diagnosis. I grieve for things I've 'missed' and things I have gone through yet I also praise God for making me stronger through it. I am so emotional today but I am thankful God is with me. Once again, I pray for others to realize that too. He never leaves us. Instead He is there to encourage us and love on us. He showed His love in a powerful way when His Son died on the cross and rose again. Thank You for being My Strength through tough times. Thank You for taking my faith deeper through them. Thank You for going before me today and opening doors for me to be You to others. I know before that happens I need a cleansing in my spirit so You can fill me up with Yourself. May You be my words, actions, and attitude throughout this day so people will see and hear You instead of me. Father, I continue to pray for Sandie and Jim and their family. I pray they feel Your love today. I also pray someone will go before this former pastor who will say or do something to get him back into right relationship with You. Father, be my strength today in a very real way. I need You physically, emotionally, mentally, financially, and most of all spiritually. Thank You Jesus for being The One Who Loves Me. Amen. The most important thing we can do in life is to live with God's love oozing out of me. The only way for that to happen is to be in relationship with Him. We have to be able to hear His Voice to know what He desires of us. Then, and only then, will we be able to love as He loves. It will be then we will be able to see past other people's flaws and not be judgmental of them. We also will have desires in our heart that do not make sense to others. Oh how I desire more of Him in me. I desire to have more of His desires in my heart. Then people will see Him instead of me. That is my goal in life. 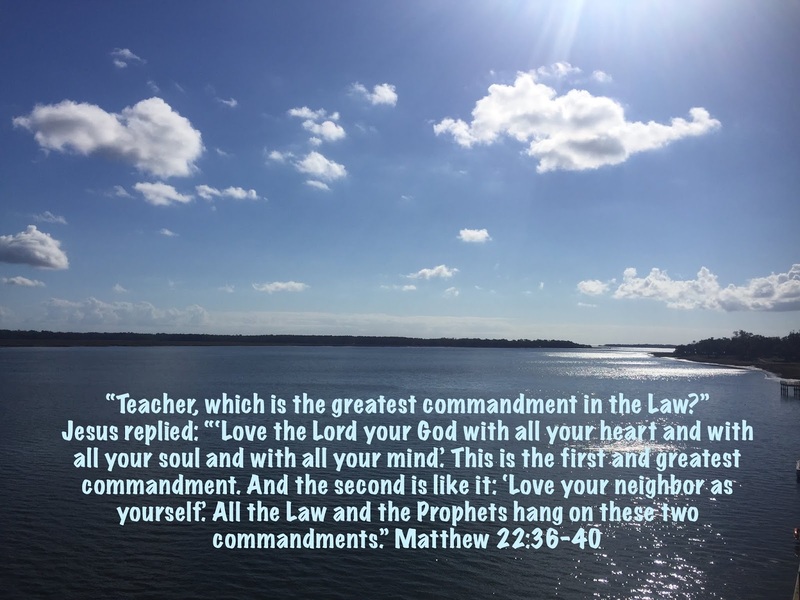 As I live such a life, I will be living out the greatest commandment Jesus gave to us. Thank You for Your love, mercy, and grace that enables me to come before You this morning to pray for more of You in me. Thank You for cleansing me so You can fill me. Thank You for being with me during the night as Mordecei was struggling. Thank You for the strength You will empower me with today to function. Thank You for giving us wisdom with him on how to help him. Father, go before and open doors of opportunity to love people as You have called me to do. Thank You Jesus for being My Love! Amen. Psalm 83 - "O Come to the Altar"
Philippians 4:13 - "I Just Need You"
John 12:13 - "Reckless Love"
I Corinthians 13 - "One Thing Remains"
Rev. 21:27 - "O Come To The Altar"
Psalm 119 - "Thy Word"
Psalm 90 - "Everlasting/From The Inside Out"
Psalm 19 - "Mercy Me Medley"
John 1 - "Red Letters"
I John 4:4b - 'Well Done"
Psalm 49 - "Jesus I Believe"
II Chronicles 20:15b - "Well Done"
II Corinthians 3:7-18 - "Home"
Psalm 99 - "Build My Life"